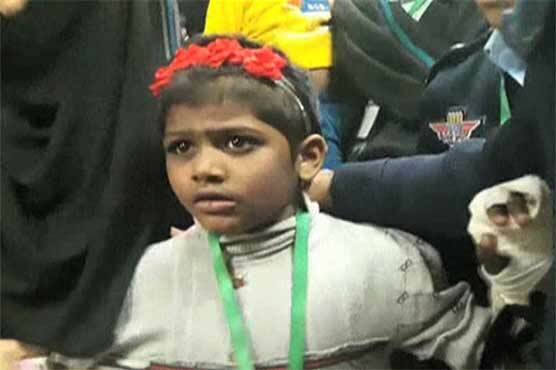 The Supreme Court has ordered the authorities to shift 10-year-old Tayyaba, who was allegedly tortured by her employers, to SOS Children’s Village for two months. During Tuesday’s hearing, Chief Justice Saqib Nisar, who was heading a three-judge bench, remarked that “the girl should be called in the court after two months to tell that where she wants to live”. “Her parents even did not appear to pursue the case. Even her father changed his statement,” the court observed. Later, the court adjourned the hearing for an indefinite period. Judge Raja Khurram Ali Khan and his wife, Meheen Zafar, the two prime accused in the case, have been granted exemption from appearance. The accused couple is yet to be charge-sheeted following a police report that has found the judge and his wife responsible for torture on the minor.